Is Your WordPress Site Participating In Pingback Distributed Denial of Service Attack? Earlier this year, more than 162,000 unsuspecting legitimate WordPress websites were used for DDoS attacks within a few hours. Attackers abused the WordPress pingback feature allowing websites to cross-reference blog posts. 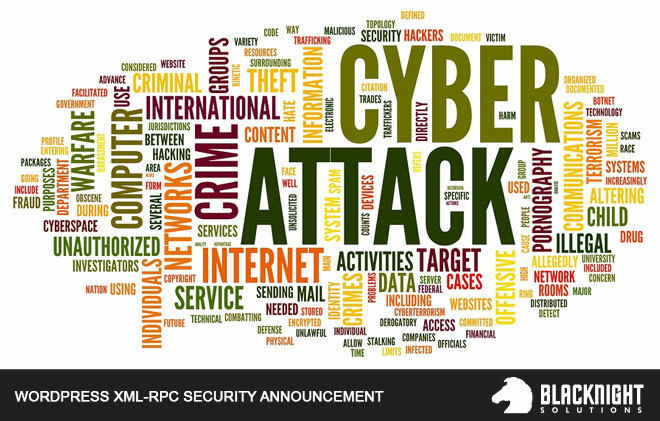 By sending hundreds of spoofed requests per second to the /xmlrpc.php file making these requests appear to come from the target site, the attacker tricks the website’s servers into flooding the target with more traffic than it can handle. Note: Jetpack and other plugins use XML-RPC to authenticate with WordPress.com and to communicate with the Jetpack powered site. Disabling XML-RPC may affect the ability to use any of the WordPress mobile apps to communicate with your site.